Almost all of the IM applications for iPhone have made the upgrade to Push services and for those users who are using Agile Messenger, your day has finally come! A new update for Agile Messenger has been released that, among other enhancements, has received Push notification service. If you have never used Push notifications for an IM app, you are missing out! Any messages that are sent to you are immediately pushed to your iPhone home screen in a text message style notification window. It is the best way to stay truly connected with IM. To go along with the new Agile Messenger update, the app is going on sale until November 30, 2009 and is being heavily discounted. 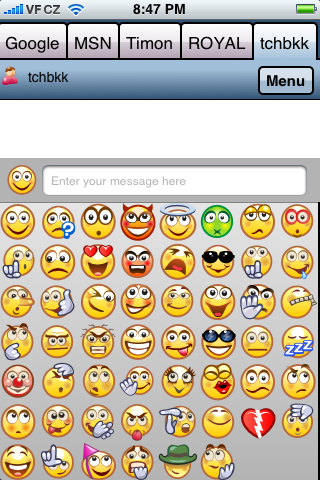 Agile Messenger is normally $9.99 but until November 30, 2009 the instant messaging application is going to be a door-crashing $1.99! 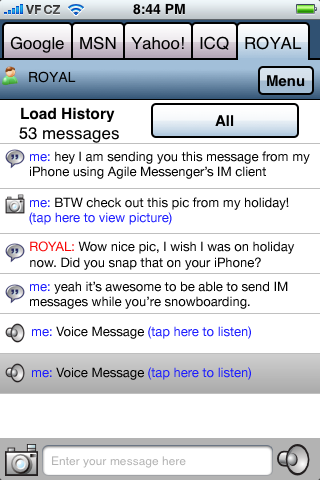 If you want to read about Agile Messenger, you can check out our review here. Otherwise, head over to the App Store and take advantage of that price! Also, stay tuned to the blog as we may have a few copies of Agile Messenger to give away!